Comments: A very drought tollerant broadleaf shrub native to Mexico and parts of the American Southwest. 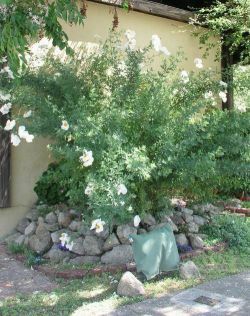 Plant has large cream colored flowers in spring and summer but dies back in the winter. All parts of this plant are poisonous.